This shoulder joint model consists of the upper half of the humerus, as well as the clavicle and scapula. 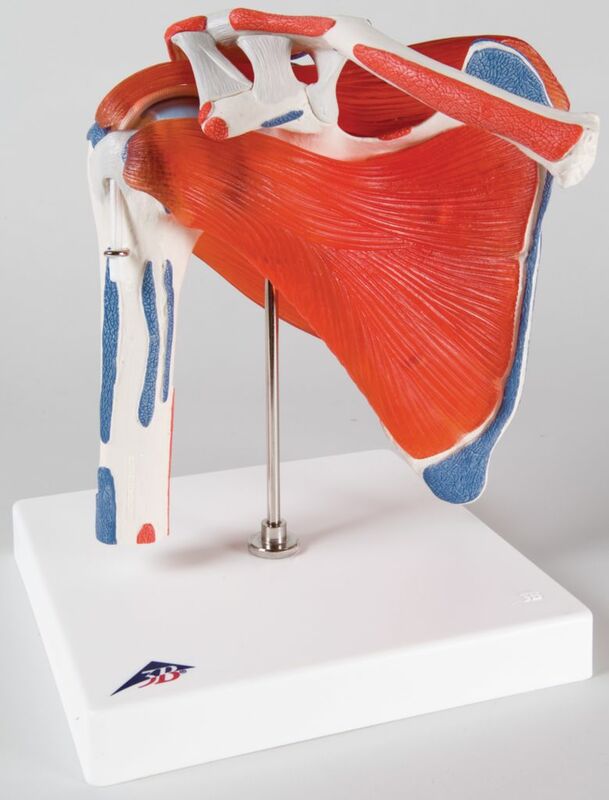 Besides showing the musculature of the rotator cuff, the shoulder joint model also shows the origin and insertion points of the shoulder muscles highlighted in color (origin = red, insertion points = blue). 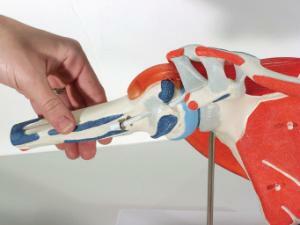 Upon detaching the individual muscles, all movements of the shoulder joint can be carried out.